The essence of our being is made up of Mind, Body and Spirit. 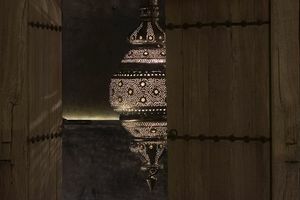 Concealed behind the enigmatic wooden doors that lead into our SPA, a world of unique sensations awaits you. Let yourself go, rediscover balance, awaken your inner wisdom and relax with us. The SPA functions by reservation only. We are open every day from 10 am to 8 pm. To make a reservation, please contact us at (+351) 261 936 355 or send us an e-mail: booking@areiasdoseixo.com. Our SPA boasts a dry sauna, Turkish bath, treatment rooms, a relaxation room and outdoor pool. Surprise someone special and offer a spa voucher. Consult the different treatments available in our menu. If you are not staying at the hotel and come to enjoy a treatment with us, your experience will be further enriched and relaxing, since the treatment also includes access to the sauna, turkish bath and outdoor swimming pool (in warmer weather). Because there are days and moments to celebrate and share… we suggest to anyone who is not hosted "A Special Moment", an invitation to a massage for two at the Spa and dinner at our restaurant. For more information consult our menu. We have a range of body and face treatments for you, including Indian Ayurvedic massage. Ayurvedic means the “science of life” and is based on the ancestral teachings of the Hindu people, in which Man is seen as part of and in harmony with the cosmos. All of our products are natural and our treatments use aromatherapy and phytotherapy. We use essential and vegetable oils, which are heated to provide total relaxation. Consult our list of treatments. The Importance of the Senses….